Stair Cottage0191 384 1116work Self-cateringLuxury lakes cottage. 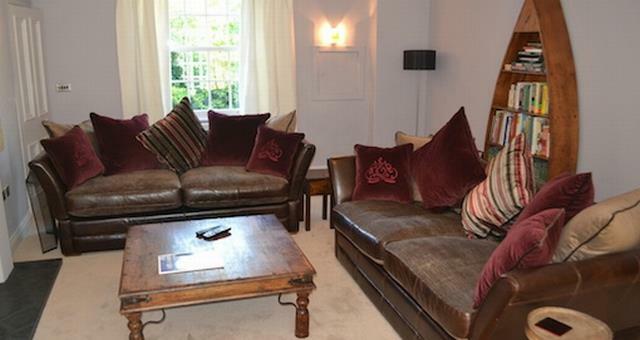 Newly refurbished with cosy living room log-burner, lovely furnishings and jacuzzi bath. Two double bedrooms with one ensuite and one main bathroom for second bedroom. Super king-size bed in main bedroom. Double bed in second bedroom. Underfloor heating, drying spaces for boots and outdoor gear. Between Catbells and Causey Pike for walking from the front door. Egyptian cotton bed linen, in bedroom bath in master bedroom. Fully equipped modern kitchen, Smart TV and washer-dryer. Beautiful garden meeting the Newlands Beck. Wildlife and birds outside your windows. TVs in each bedroom. Wi-Fi throughout the house. Everything you need for a relaxing holiday with friends or family in a gorgeous setting. Books, games, DVDs, Sonos Sound Player, music, walks, maps and ideas for visits all provided. Welcome pack of local food goodies for your arrival. 10 mins walk from the Swinside Inn. Three miles from Keswick, the Theatre by the Lake, 1 mile from the marinas for sailing on Derwentwater. 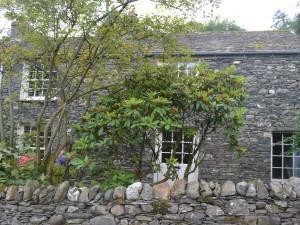 Wordsworth's House just minutes away. Stair Cottage offers weekly bookings starting on Friday. The whole stay was beyond our expectations. The finish in the cottage was superb. To have the stream in the back garden with beautiful wildlife is tranquil. The log burner in the sitting room for a chilly evening was great. The showers in both bathrooms had very good pressure and luxurious. What a fantastic space the kitchen is very well fitted and the underfloor heating great in the morning. The cottage is a total credit to Linda and Stan the owners. We wish we could have stayed for longer. Luxury lakes cottage. Newly refurbished with cosy living room log-burner, lovely furnishings and jacuzzi bath. Nearest leisure facilities are in Keswick. Newlands Adventure Centre is next door and offers walking, climbing, abseiling etc. Nearest pub is the Swinside Inn 10 mins walk away. 3 miles to Keswick for restaurants, theatre, attractions etc. Master bedroom has in-bedroom bath plus ensuite shower room. Main bathroom has Jacuzzi bath, rain shower. Children welcome from any age. Take the A66 to just beyond Keswick and turn left into Portinscale. Follow the road through the village and on passed the Marina on your left. Continue for 1.5 miles following the signs for Stair. You will go past the Swinside Inn on your right. Continue until you reach the Newlands Adventure Centre on your left. Follow the road over the bridge and Stair Cottage is the slate cottage 100 m on your left. Parking is immediately opposite the cottage on the grass. Or follow the A66 to Braithwaite village. Turn into the village, cross the bridge over the river and turn left just before the corner shop. Follow this road for 1.5 miles and take the very sharp left turn for Stair village. Large vehicles should drive 200 m beyond the left turn and use the turning space to turn around, turn back to junction and fork right. Follow this road down and around the bend to the right. Stair Cottage is the first house on the right.